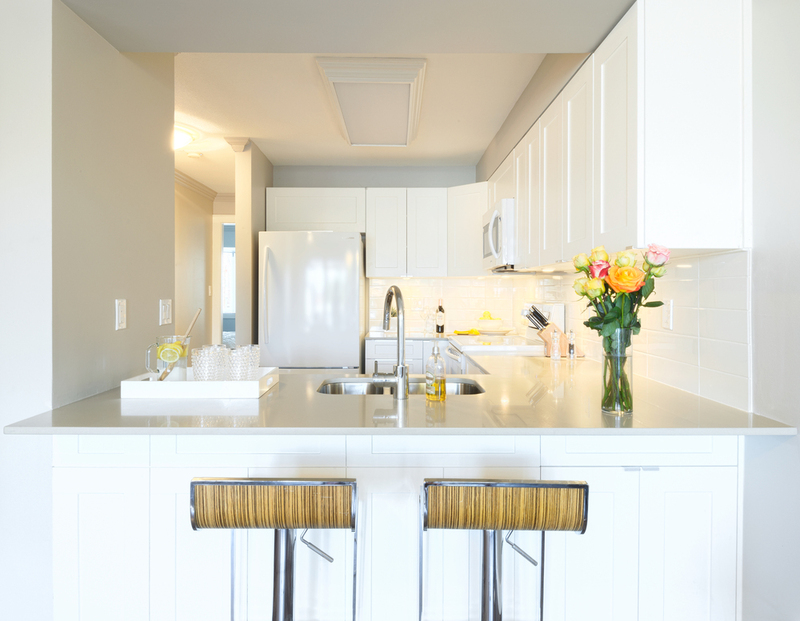 This tired and dated condo was in desperate need of a complete makeover. However, we were faced with a tight budget and even tighter time frame. Opting for a warm neutral palette, MJID worked with local suppliers to select readily available products. Framing changes were kept to a minimum, however; unnecessary French doors were eliminated for better functionality in the Living Room. A keen eye for finishes with perceived high-end value (but minus the big ticket price) provides a sense of relaxed elegance. This spacious and airy penthouse will remain timeless in its design for years to come.